Dr. Montserrat Vendrell has a background in biomedical research and management of innovation support entities. With a deep knowledge of the life sciences ecosystem in Spain, she has an outstanding network both in the private and public arena. Montserrat Vendrell has over 10 year experience in biomedical research both in Spanish institutions (CSIC) and international companies (Roche Institute of Molecular Biology, NJ, US). She was involved in the creation of Barcelona Science Park were she was responsible for the strategy and management of the park, the bioincubator and the technological facilities (Deputy general manager and later, general manager). Montserrat led the creation of a group involving all stakeholders in the ecosystem: the regional government, companies and research organizations, which created Biocat, Catalonia biocluster, one of the most successful in Europe. She was CEO of Biocat for 8 years, (2007-2015). Montserrat chaired since its birth until 2015, the Council of European Bioregions. Throughout her professional career, Dr. Vendrell has always been at the inception of projects in the public-private space. 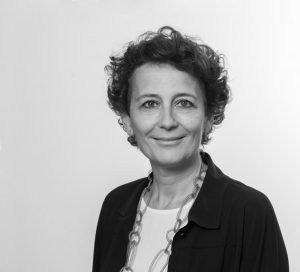 She has developed a privileged network and connections and has a unique and deep knowledge of the Spanish and Catalan life sciences ecosystems. Dr. Vendrell was named one of the 25 Top Influential Women in Catalonia by Ara Newspaper, 2012. She holds a PhD in Biology from University of Barcelona (1991), a master degree in Science Communication from Pompeu Fabra University (Barcelona, 1997) and an Executive Degree in General Management (IESE Business School, Barcelona, PDG-2007).